Tomlinson's beautiful “Value” Contemporary ledge faucet is a zinc alloy light-bodied version of the top-of-the-line Contemporary style. It has an easy operating 1/4 turn handle. 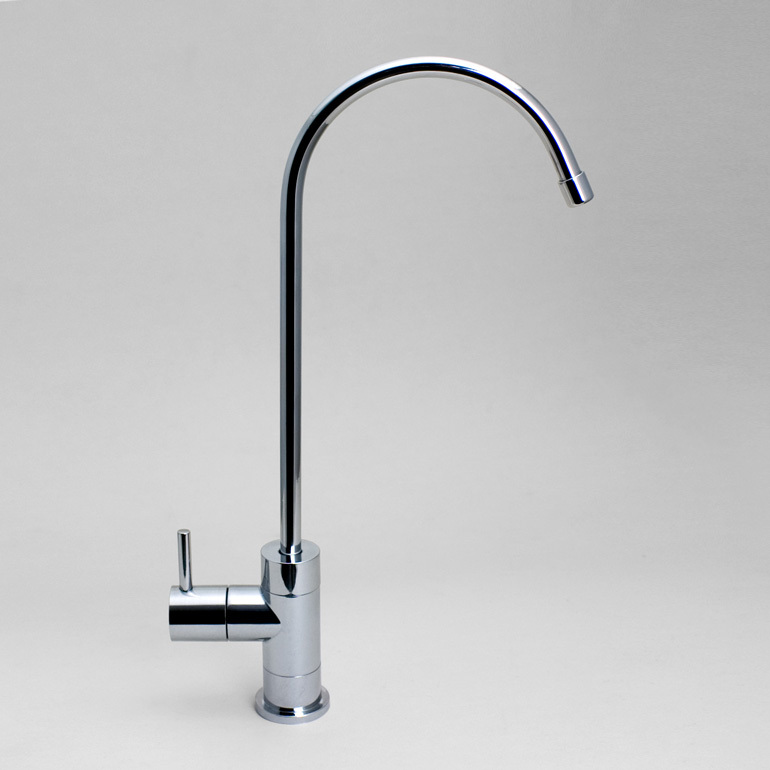 The spout swivels 360 degrees. Easy to install with preinstalled 1/4" tubing. This is one of the optional faucets that come as standard equipment on our new undersink filters and reverse osmosis units. 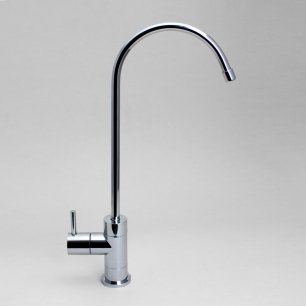 The standard faucet is in the non-air gap style, but it can be ordered with air gap as well.